SKU: N/A. Category: Landboard and Buggy Kites. Tags: buggying, landboarding, Peter Lynn Kites, traction kiting. 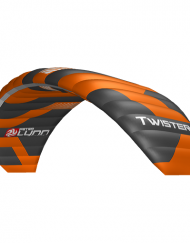 From the Manufacturer: The Peter Lynn Phantom II, one of the most unique and recognizable Twinskin kites to date has been reinvented! The reincarnation of the Phantom features all the characteristics that made the original kite such a huge success amongst riders around the world and will again be the ultimate Twinskin for land use. Whether you are looking to bust huge moves on a land/snow board or to comfortably ride along endless beaches and deserted flat lands in your buggy, the Peter Lynn Phantom II will provide you with a stable and reliable platform allowing you to go bigger, faster and further than ever before. The original Phantom I was (and still is!) well known around the globe for its extreme hang time, its ridiculous amount of lift, and high flying speed. With the release of the Peter Lynn Phantom II, Peter Lynn revitalizes a part of kiting history with a new contemporary design, complemented with the latest performance enhancements. 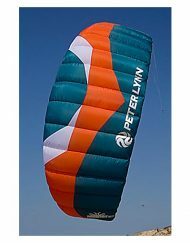 The Peter Lynn Phantom II will add all the innovations the Peter Lynn Twinskin range has undergone in the past decade to create a sleek, high aspect ratio kite. Get your hands on one and experience it’s mythical performance yourself. Extremely broad wind-range: The Peter Lynn Phantom II has the widest wind range of any Twinskin to date! 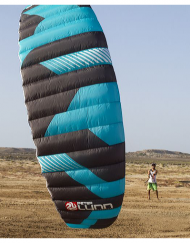 Taking the best low-end wind performance and enhancing it with quick and easy turning, the Phantom II will have you moving in conditions usually reserved for bigger kites. The low wind performance of the Phantom II is well matched by its high wind handling. 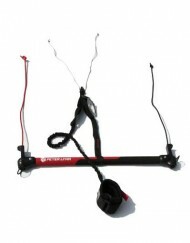 With its huge depower range you will find confidence in winds that you would normally want a smaller kite for. The Peter Lynn Phantom II will have you riding more and swapping wings less. Auto-zenith: The Peter Lynn Phantom II possesses the classic Peter Lynn Auto-zenith made famous by the original Phantom I. In the event that you have to let go of the bar, the Auto-zenith feature of the Phantom II will place the kite above you automatically, without luffing or collapsing. A great feature if things don’t go as planned, or you just need to take a break. 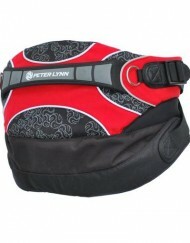 Stability: The Peter Lynn Phantom II is the embodiment of Peter Lynn Twinskin stability. The Phantom II is superb at flying in gusty inland conditions. 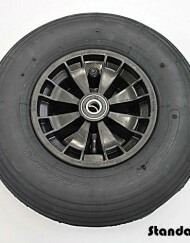 Perfect for land based and snow kite applications. The gust handling ability of the Phantom II means less fatigue and longer ride time. Precise control: If the Charger is the “Formula 1″ of Twinskins, then the Peter Lynn Phantom II is the “Top Fuel Dragster”. Designed with the highest Aspect Ratio of any Peter Lynn Arc in current production, the Phantom II has extremely fast flying speed, unmatched stability and will claw its way upwind with ease. Even with its razor sharp handling the Phantom II has the versatility to fly as aggressive or mellow as the rider wants. Drive the Phantom II hard or just “park and ride”, the Peter Lynn Phantom II will put a smile on your face. Amazing lift: The combination of high forward speed, high Aspect ratio and quick turn rate enables the Peter Lynn Phantom II to produce a huge amount of super smooth lift. Match that with the amount of float that the Phantom II has and you have some serious hang time to pull off whatever tricks you have in your bag. High Aspect Ratio: The Aspect Ratio of 5.6 ensures stability and a high flying speed while remaining quick through turns. 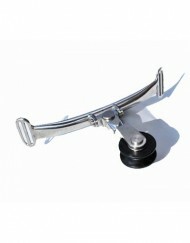 Patented concave leading edge: Increasing the depower range and ensuring a smooth overall wing shape. The Leading Edge is concave in flight making sure there is less stress across the complete wing and increasing the amount of depower. The Leading Edge is designed with a one piece Leading Edge, having less stitches, less drag and more strength! 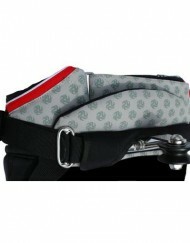 Triple layer technology: Triple layer technology ensures the best durability! 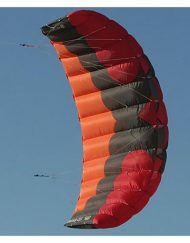 Especially when crashing the kite, the force unleashed on the kite can be huge, with the triple layer technology, the durability of the kite is strongly improved. Taped seams finish off the bombproof construction. 70D Chikara profiles: For top and bottom skin and all interneal ribs we have chosen to use strong 70D fabric, giving the Phantom the best weight to strength ratio. Kevlar reinforced spar pockets: On the Phantom II the spar pockets are reinforced with Kevlar on both the leading edge and the trailing edge. Two Air intakes: For fast inflation and quick relaunch. The air intakes allow air to flow in, and the valves behind the intakes prevent air from getting out. The double air intake with airlock valves increase the overall internal pressure of the kite for added performance and quicker relaunch. Strategically placed reinforcements: Special reinforcement patches have been strategically placed on the tip as well as on the inside of the kite. Reinforcement patches distribute the load across a larger area, putting less stress on critical areas of the kite increasing durability and ensuring a smooth skin shape. Optimized “single pulley” VPC System: For increased turning speed and performance the Phantom II is delivered as standard with the VPC (Variable Power Control) system. For further tuning to your personal preference separate pigtails for a direct connection, are available as an accessory, enabling you to tune the kite to a park & ride character. 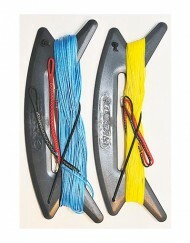 Kook-proof line connections: To prevent wrong attachment of the top and rear lines to the kite.. Steering adjusters: The straps inside the tips can easily be tightened or loosened to increase turning speed and flying speed to suit your personal riding style. 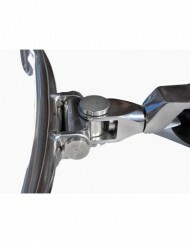 Central flight adjusters: Allowing you to adjust the feel and power of the kite. 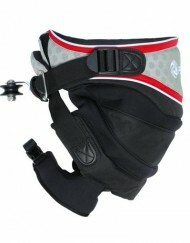 The centre strap helps you set the power and flying behaviour to your personal liking. Adjust the kite to your style rather than your style to the kite. Dual inflation zippers (left and right): For quick and easy pre-inflation. 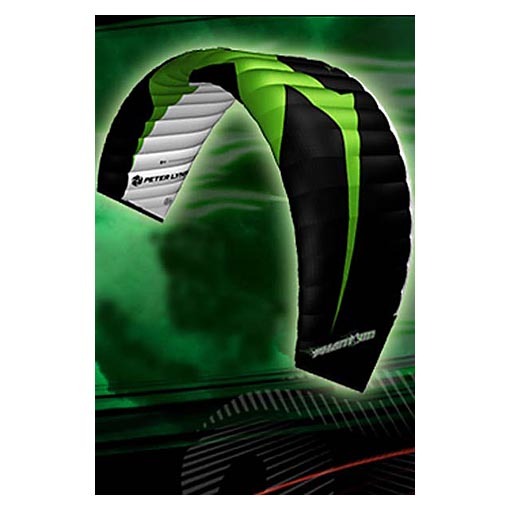 The two high volume inflation zippers allow you to pre-inflate your kite with very little effort. 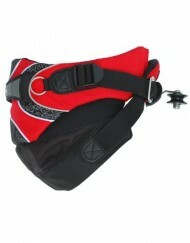 Simply open up the zippers and they stay open to fill up the kite while you are setting up your lines. 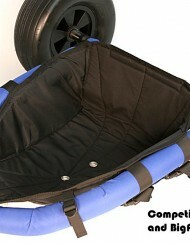 Single deflation zipper: To help you pack up fast and easy. Open up the deflate zipper, fold your tips together and add some weight on the tips, the kite will automatically be deflated, so you can pack it up with ease. Velcro launch assist tags: To ensure trouble-free self-launching. The launch assistants on each tip hold your flying lines in place and out of tangles when launching, so you can easily launch the kite by yourself. 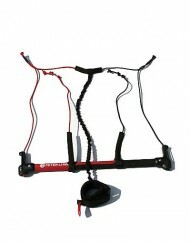 Specially constructed trailing edge: Increases power and flying speed. By using specially shaped panels at the trailing edge of the kite, the skin is smooth along this area, increasing flying speed and power. Peter Lynn Phantom II Package includes…. CAUTION: These kites create tremendous pull which can be dangerous even for the most experienced pilot. Purchaser accepts all liability for the safe and proper use of these kites.